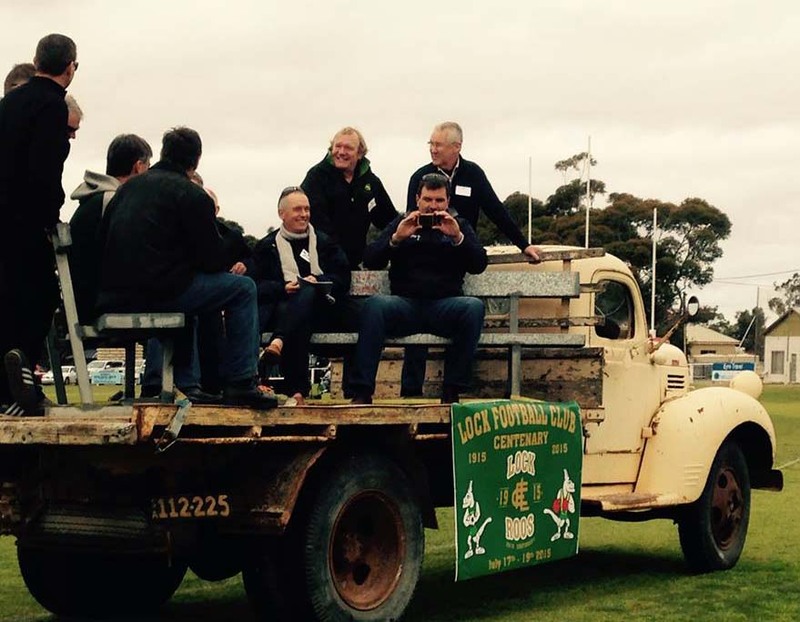 CENTENARY WEEKEND July 2015 - THE GREAT SUCCESS!! 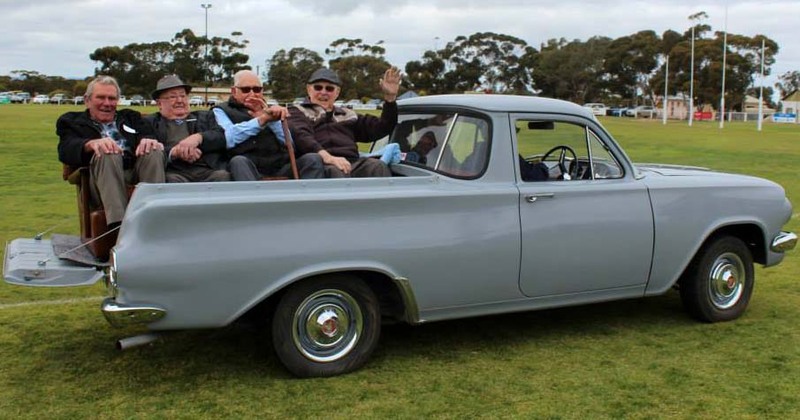 Middle Area Players in an FC utility - Driving Pat Brown, Passenger Bruce Tiller. BACK : Bob Walsh, Gordon Hetzel, Ted Dreckow, Phil Holman. FRONT : Jane Pearce, Nadine Pearce, Caroline Longmire. 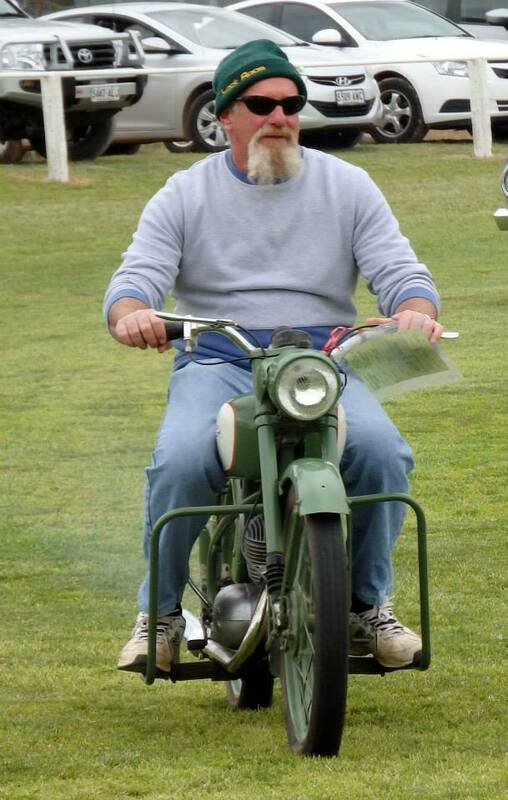 Kym Tiller riding his father's transport to football matches. 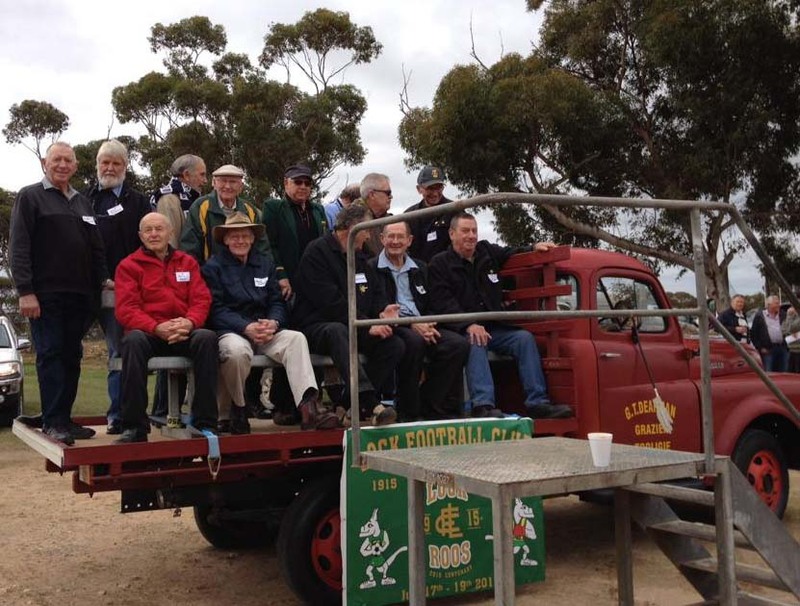 BACK ROW : Murray Wiseman, , Tim Peckover, Alan Cunningham, Merv Britza, Gary Foster ,Dennis Manhood , John Zerk. BROTHERS TOGETHER ON THE FIELD. 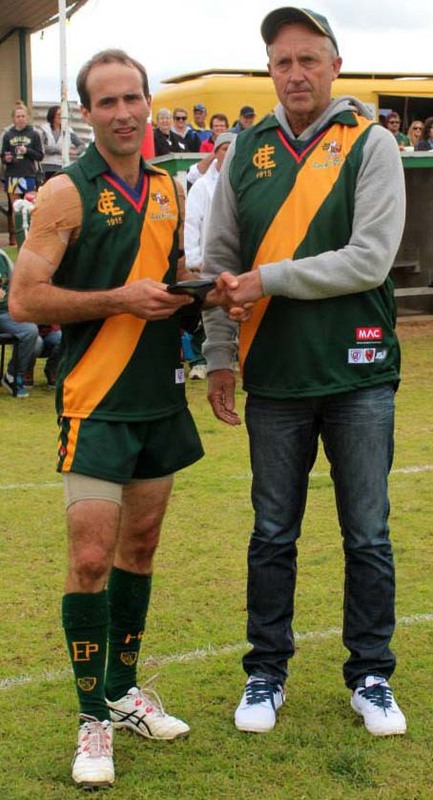 Brody Burrows - Greatgrandson of Wally Burrows - Inaugural Captain of Lock Football Club. Emma Tully - Great Granddaughter of Doris Eichner - First Secretary of the Lock Netball Club. Andrew Wiseman standing in for Darren Rule, Peter Durdin, Mark Holman, Merv Britza. Harley Tiller standing in for Bruce Tiller, Kerran Glover, Britt Grocke, Gordon Bower, Sue Weetra standing in for Harold Tiller. John Zerk standing in for Frank Hansen, Gordon Hetzel, Andrew Hetzel, Terry Odlum. 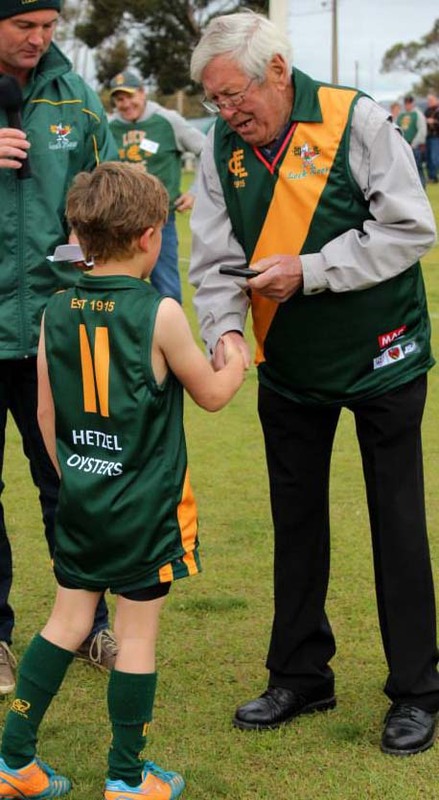 Bob Tully Minis Coach for many years presenting Centenary Medal to Josh Crosby for Best On Ground for Minis Centenary Match. 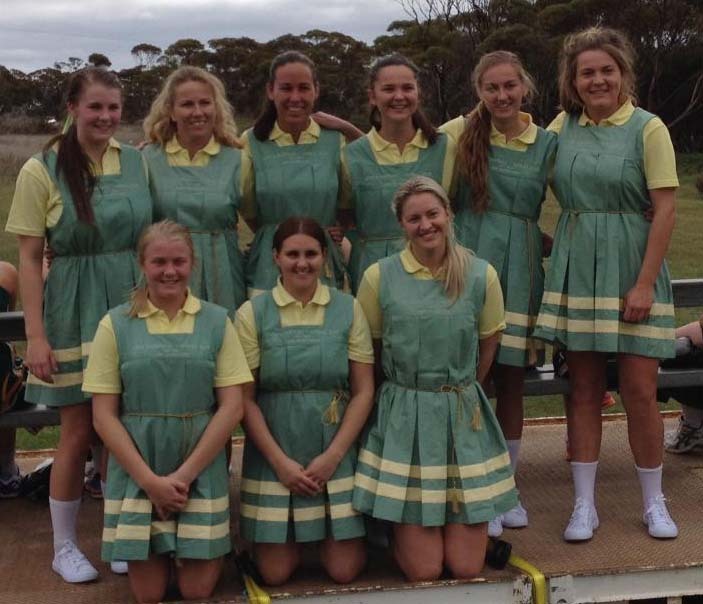 LOCK NETBALL CLUB A GRADE IN 1964 REPLICA UNIFORMS. 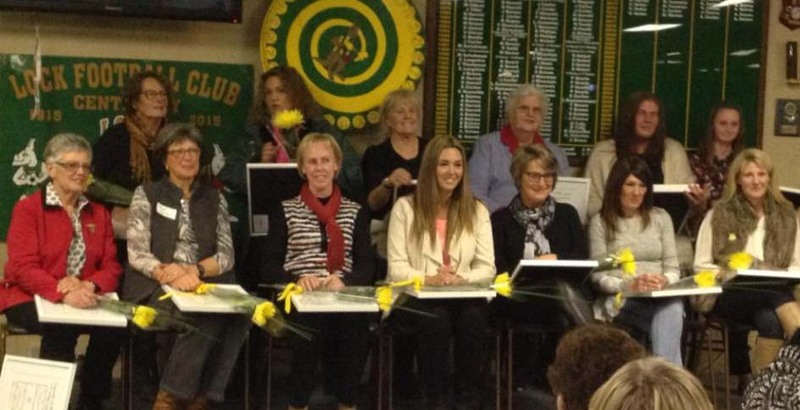 BACKROW : Alanah Beard, Melanie Glover, Stacey Mellor, Christie Zerk, Britnee Glover, Sarah Arbon. 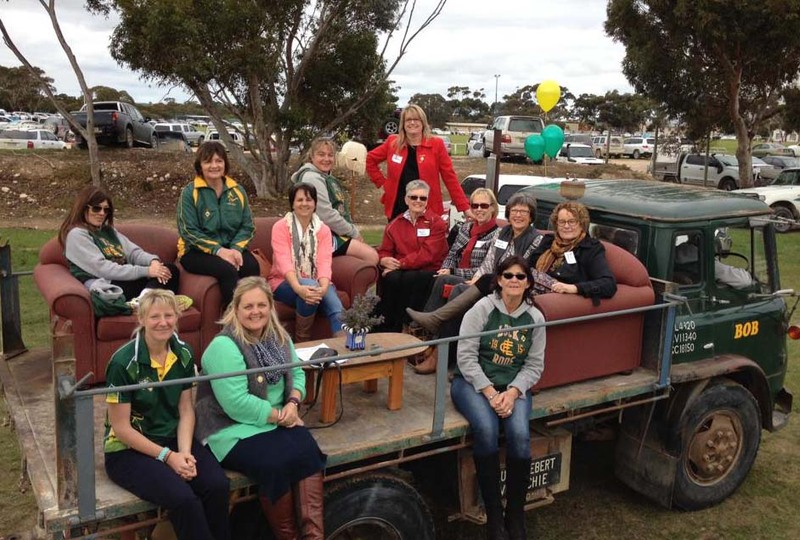 FRONT ROW : Nardine Beard, Melissa Morton, Sarah Owen. Sandra Tiller, Teresa (Cunningham) Burrows, Umpire - Jane Pearce. ABSENT : Faye McKerlie, Coach - Yvonne Carr. 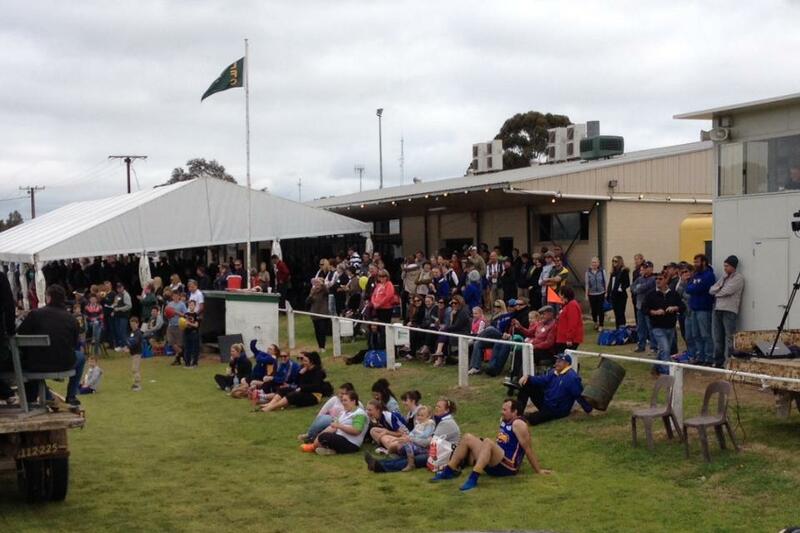 RESERVES Centenary Match. Gary Hetzel - presented by Ian Burrows. 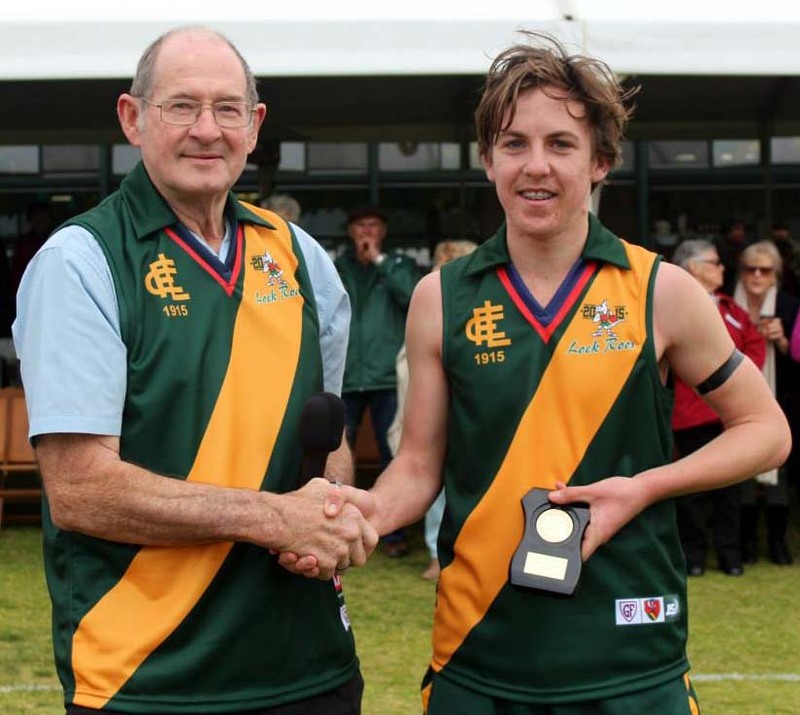 Best on Ground Colts Centenary Match - Cain Reynolds. Presented by Doug Baldock. 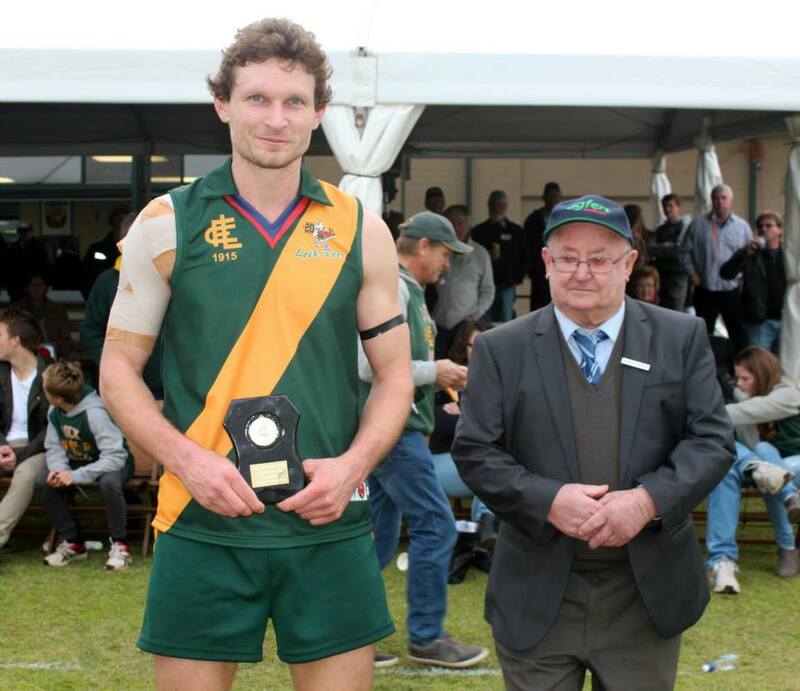 Best on Ground A Grade Centenary Match - Andrew Kelly.